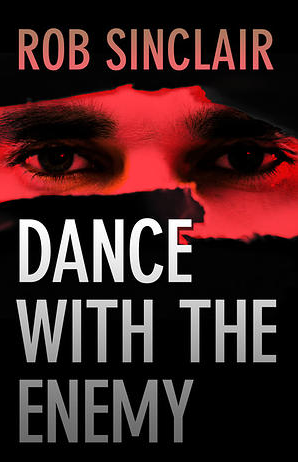 I feel a bit mean not giving this 4 stars but I’m going to stick to my guns because although Dance With The Enemy was good, I think it could have been better and I’m sure that Rob Sinclair‘s next book WILL be better. I loved the Carl Logan character, I thought he perfectly fitted the bill of an off the grid, Jack Reacher style agent. I liked his boss and their relationship and I liked Carl Logan’s utter disregard for rules and niceties. I thought the overall storyline was great, Selim was damn scary and torture scenes were appropriately gritty and awful. Although I have to admit I did feel that the ending was a little weak compared to the body of the story. I thought I liked Grainger until said ending, not because I disagreed with her actions but because the ending didn’t fit the character up until that point – in my opinion – I don’t want to give the storyline away so won’t say any more on that. So for me it was very nearly great, I definitely enjoyed reading it and I would look forward to reading other books by Rob Sinclair as I think he will improve and hone his technique in future books and I can see that would make them outstanding. Synopsis: Carl Logan was the perfect agent. A loner. No real friends or family. Trained to deal with any situation with cold efficiency, devoid of emotion. But Logan isn’t the man he used to be, or the asset he once was. Five months ago his life changed forever when he was captured, tortured and left for dead by Youssef Selim, one of the world’s most violent terrorists. When Selim mysteriously reappears in Paris, linked to the kidnapping of America’s Attorney General, Logan smells his chance for revenge. Pursuing his man relentlessly, oblivious to the growing trail of destruction that he leaves in his wake, Logan delves increasingly deep into the web of lies and deceit surrounding the kidnapping. Finally, he comes to learn just what it means to Dance with the Enemy.